DIGITAL introduces VAX ACMS (Application, Control and Management System). 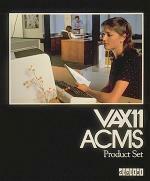 DIGITAL introduces the MicroVAX II. The MicroVAX chip is announced for the MicroVAX II. DIGITAL is the first computer company to register an Internet domain. 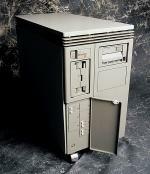 Introduction of the MicroPDP-11/83, the most powerful Q-bus 16-bit wordlength computer in DIGITAL's history. 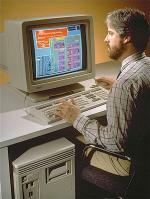 Introduction of the VAXstation II/GPX, DIGITAL's first technical workstation for the UNIX marketplace.